Helping in her grandmothers’ gardens, cooking with her dad, and hanging out at the dinner table were always part of Jaycie Thomsen’s family culture, so she picked up food skills early. Jaycie, who grew up in Maple Grove, also began running competitively in seventh grade and found that what she puts into her body makes a big difference in her performance on the track or the cross-country course. “I found the correlation between eating well and doing well in my sports,” she said. 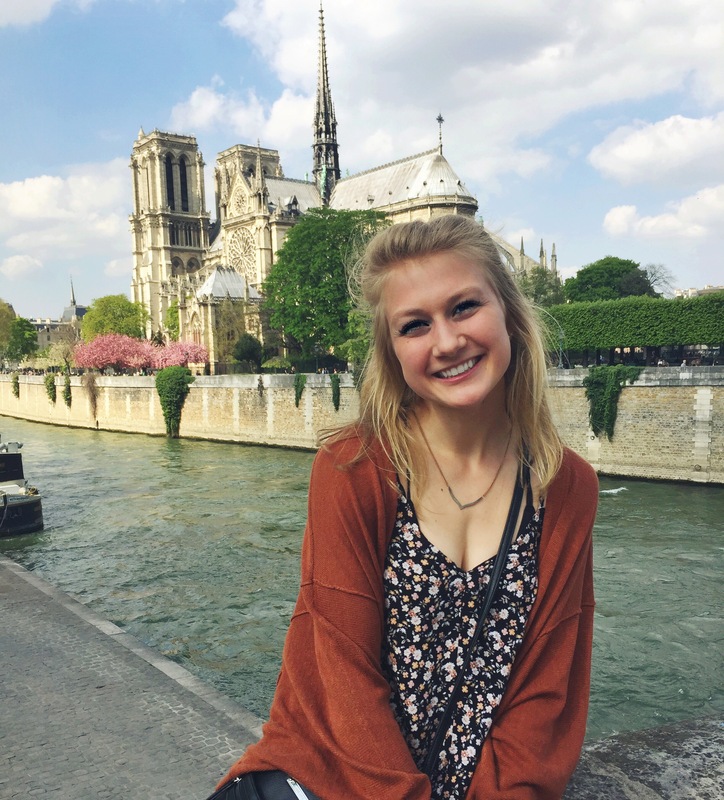 Today the University of Minnesota athlete is a double major in environmental science and policy and food systems in her sophomore year. She set out to find a summer job related to food policy. She came across the Minnesota Food Charter Network and thought it was the perfect fit for her interests. She didn’t let the fact there was not an internship advertised stop her from contacting Executive Director Michael Dahl to talk about the organization – and she found he needed help with research and communications, updating statistics and preparing reports and blog posts. She recently researched the federal farm bill. “A lot of products like corn and soybeans are livelihoods for so many Minnesotans, Iowans, and other Midwesterners,” she said. She then talked with her grandfather in Iowa, where both her parents grew up, about how changes to the tradition of support for commodity crop producers might be perceived at the grassroots level. She can see that any major changes to long-standing policy will take a long time and a lot of community engagement in order to be effective. Policies she’d like to see include empowering small-farmers to grow and market their food more locally. She also wants to help more people understand the farm-to-fork process. She’d start with elementary and middle school curriculum that gets kids excited about gardening and cooking, including hands-on opportunities to grow fresh food, prepare it and taste it. Being a people person, Jaycie’s got a “slight dream” to open a “restaurant-slash- community center area-slash-community garden. Kind of a side project,” she said. Ultimately, she’d like to write food policy at the federal or local level. “I think there is a lot of room for improvement. And obviously, it takes time to implement. I think there are a lot more people interested in and excited about food systems change. By the time I graduate there may be more paths open to me,” she said. Jaycie may be at the starting line of changing the food system, but she’s got the stamina to stay in the race.